THEY ARE HERE AND THEY ARE WATCHING! 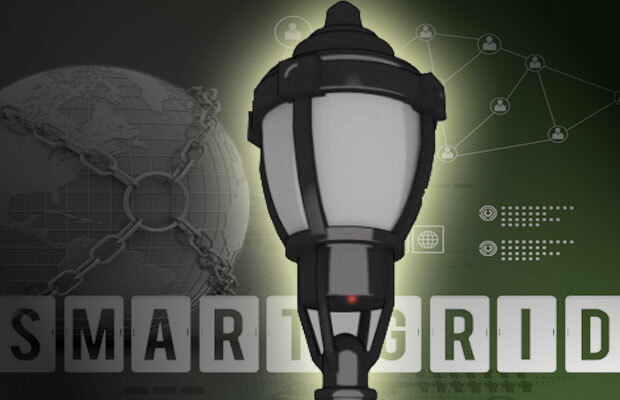 April 17th, 2015 – (TruthstreamMedia.com) Despite appearances, the “smart” society was never based on saving energy, saving money or saving the environment. The real aim has been to control the population and conduct absolute surveillance on the larger herd and even every individual. Thanks to smart phones, smart meters, smart grids, smart TVs, smart cars and smart appliances, the places you go, the people you contact and all the things you interact with are logged, tracked and analyzed by advanced computer algorithms. Thanks to search engines, the technocrats even believe they known what you’re thinking and what you’ll do next. This entry was posted in Actions by City Governments, Actions by State Government, Universal Surveillance and tagged Smart grid, surveillance device by Vigilant Dave. Bookmark the permalink. Help! my tv could be watching me and I’m not comfortable , its ruining my love life! I cover my screen while my TV is off especially when sleeping! It may sound paranoid but after my TV flashed a quick white light that lite up the room, I decided to error on the part of safety. It finally dawned on me the rumors I had been hearing might be credible. I use precautions now around all my SMART electronics,taking out my battery etc. I’m putting off buying a new computer. China is refusing to buy electronics from the USA for this very reason. Its all part of a bigger plan its called ” AGENDA 21 ” look it up! On another note, I live in SE Michigan and most of my neighbors have smart meters, except for me , I have mine secured to the point where they come to change my meter, but when they see it they turn around and leave. I do have a question though, DTE came by to change my meter and said that i needed to opt out if i wanted a meter with the radio turned off, I was not at home but talked to my daughter,he left some flyer and said they would call in 10 days to find out what i have decided.about a 2 yrs. ago i sent DTE a letter declining their OPT OUT program, My question is, If there are still appeals in the court system, Can and will they turn my power off for continued refusal to install a digital meter? Pretty discouraging. Why haven’t solar energy lamps replaced electric? What’s the argument against that?